KawaiiPunk - Kawaii Mascot Blog: Halloween Gifts at KawaiiPunk! Scared yet? You should be! 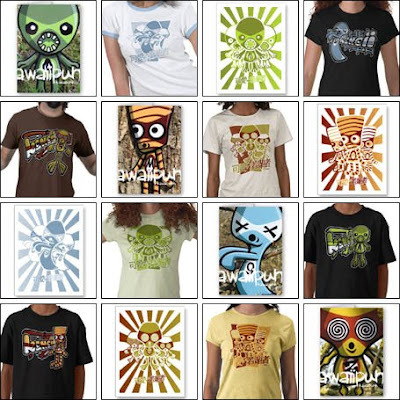 This is the truly terrifying collection of ghastly goodies available at the KawaiiPunk Zazzle shop. As well as my hideous self, the horrible Zombie, Mummy and Ghost Mascots are all there waiting for you on t-shirts, buttons, keyrings, cards and more! So you best head on over if you know what’s good for you! After all… it’s better that you go out and get us, than we go out and get you! P.S. KawaiiPunk products are also available at RedBubble and CafePress, so don’t think hiding’s going to help you either!